Rosemarie M. Rowley is an Associate Consultant with EquiPro International and established the consulting firm, Ambassador in 1992, and draws on more than 20 years of consulting experience. 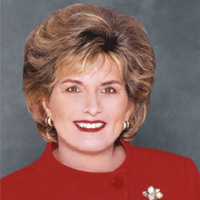 She specializes in executive search recruiting, conducting business seminars, and human resource consulting. Prior to establishing Ambassador, Ms. Rowley was an officer at William M. Mercer, Inc. where she created the entire professional recruiting function for the New York Region. During her six years at Mercer, she developed proven cost reducing recruiting methods while enhancing the quality and professionalism of the recruiting efforts. In addition, she developed and presented business seminars both internally and externally. Before joining Mercer, Ms. Rowley spent over nine years with the accounting firm of Ernst & Young (formerly Ernst & Whinney) as a Senior Manager of the Executive Search Consulting group. She was responsible for marketing and executing assignments that identified senior level executives for positions in client organizations. Ms. Rowley also created the research function and conducted seminars for Ernst & Young executive search consultants. She has been a guest lecturer at the Stern School of Management (New York University) and the Broadcasting and Cable Financial Management Association's annual conference. Ms. Rowley published two articles in the National Business Employment Weekly, a supplement to the Wall Street Journal and has been quoted in the Chicago Tribune. "“Lynda has helped our alliance navigate through turbulence to a point of smooth sailing. She can be trusted to provide practical advice and tools to help both alliance companies achieve their goals."